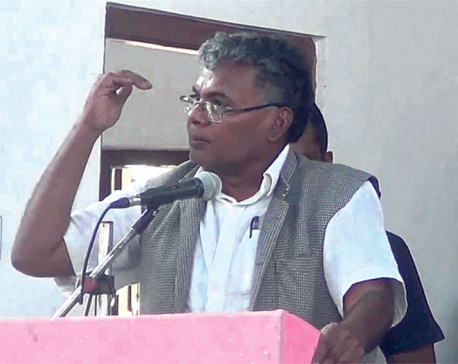 CHITWAN, April 21: Former Prime Minister and Nepal Communist Party Chairman Pushpa Kamal Dahal has said cooperatives' role should be augmented to ensure economic prosperity and socialism-oriented State with social justice. 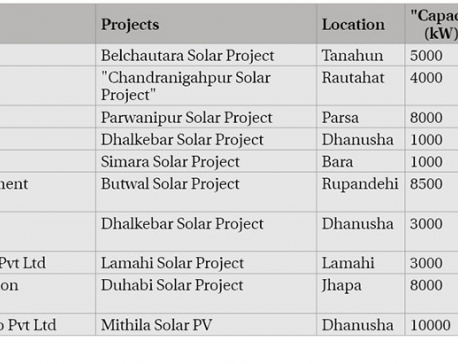 KATHMANDU, April 21: When it comes to proper management and timely completion, solar power projects of the country are no better than hydropower projects. The government’s plan to generate 51 MW electricity by harnessing solar power is most likely to be mired in delays and deadline extensions. KATHMANDU, April 21: Nepal Electricity Authority (NEA) informed that its plan of generating 20 MW solar power from Devighat in Trishuli will materialize by the end of November. KAILALI, April 21: Amid rising import of fine scented rice from India, Ministry of Land Management, Agriculture, and Cooperative of Sudur Paschim Province has endeavored to promote rice farming in the region by providing farmers with subsidy on seed and fertilizer, and improving irrigation facilities. KATHMANDU, April 21: Commercial banks are yet to expand their reach to 40 local units as of mid-March. Though the government has been pushing them to have at least one branch in each local unit, banking institutions have been able to show their presence in only 713 out of 753 local units. 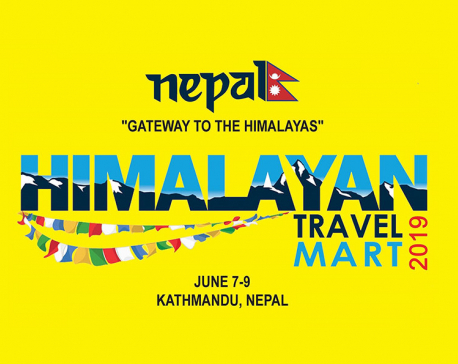 KATHMANDU, April 21: The third edition of Himalayan Travel Mart is to be held at Soaltee Crowne Plaza in Kathmandu from June 6 through 9. 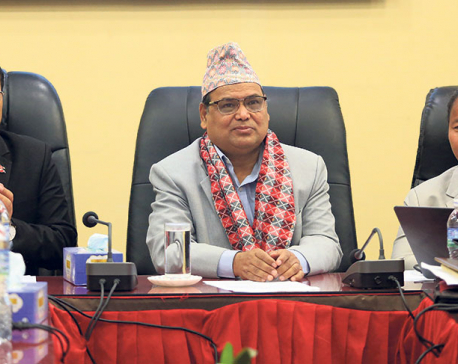 KATHMANDU, April 20: Minister for Industry, Commerce and Supplies Matrika Prasad Yadav has said that the government was ready to support the private sector for promoting export by replacing imports to the country. KATHMANDU, April 20: Two hydropower companies – Rasuwagadhi Hydropower Company Ltd (RHCL) and Sanjen Jalavidhyut Company Ltd (SJCL) – have floated their primary shares worth above Rs 1.57 billion to the public. 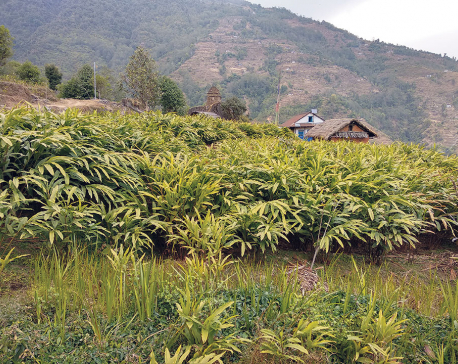 BHOJPUR, April 20: Farmers in Bhojpur are frustrated with a free fall in the price of their high value cash crop – cardamom – by 80 percent. KATHMANDU, April 20: The stock market remained closed on Sunday due to Nepalese New Year. The benchmark equity index witnessed strength in four trading days of the week – Monday to Thursday – with the index closing on green zone.